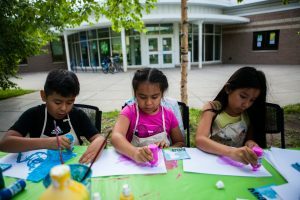 Conducted in close collaboration with the Minneapolis Park and Recreation Board, Art in the Park provides free art programs for youth in the Minneapolis parks. Come make art with us! 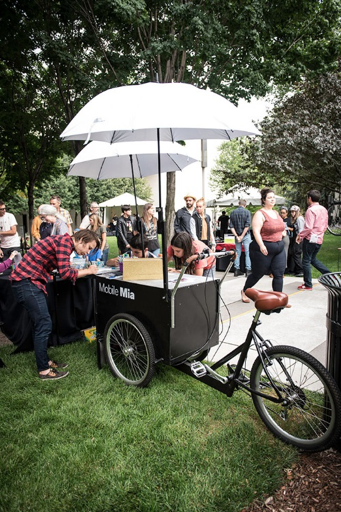 Mobile Mia provides free art activities for all ages in the Minneapolis parks via bicycle all summer long. Students explored the basic elements of art by creating a painting using a basketball backboard as a canvas. 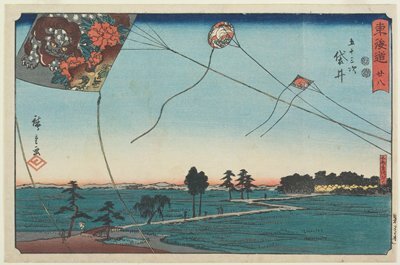 This 5-day class was inspired by artworks in the Minneapolis Institute of Art’s collection and was taught by Twin Cities aerosol art pioneer Peyton Scott Russell. Join Mia artist on the frozen lake. Free; open to ages 9–12. Let’s honor the importance of water in our lives with the help of Spirit Lake Dakota–artist Marlena Myles. 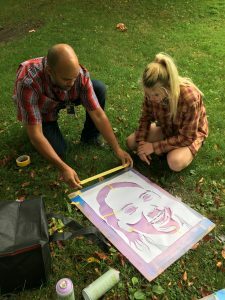 Student artists will create posters using stencils, drawing inspiration from artworks found at Mia and from water itself. Let’s use a basketball backboard as a canvas to explore the basic elements of art. Taught by artist Twin Cities aerosol-art pioneer Peyton Russell, this week-long class will be inspired by artworks in Mia’s collection. 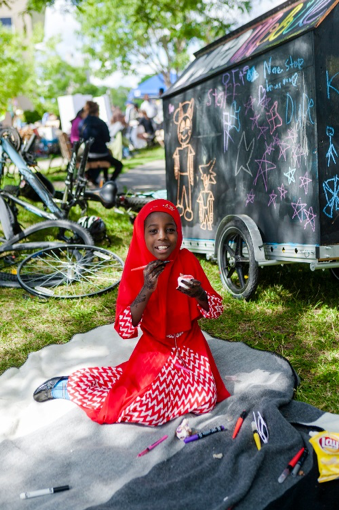 Presented in partnership with the Minneapolis Park and Recreation Board.